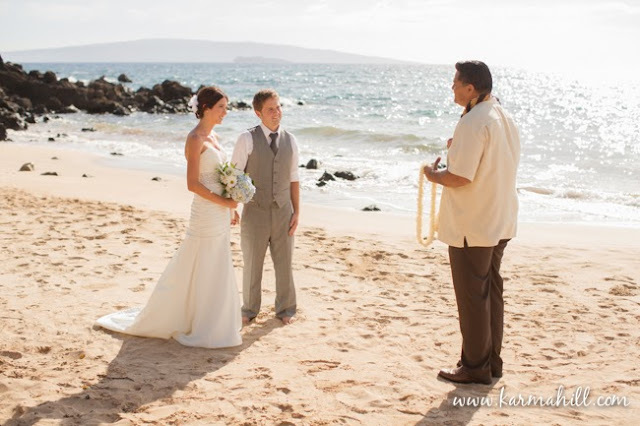 Last Saturday, on Southside Beach in Maui, Heather & Stan said their wedding vows at sunset. 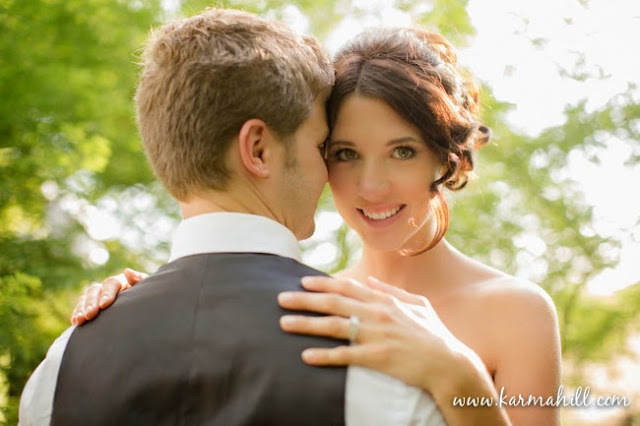 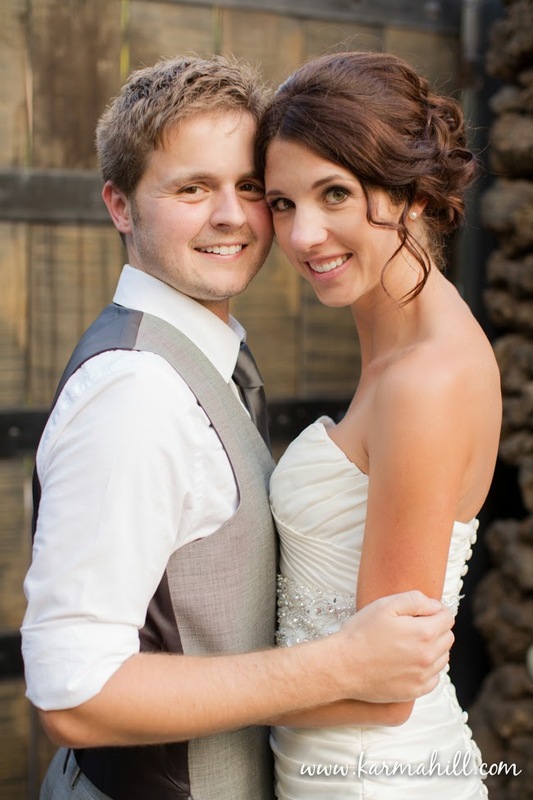 Deciding to elope, they jetted in from Minneapolis for their special day. 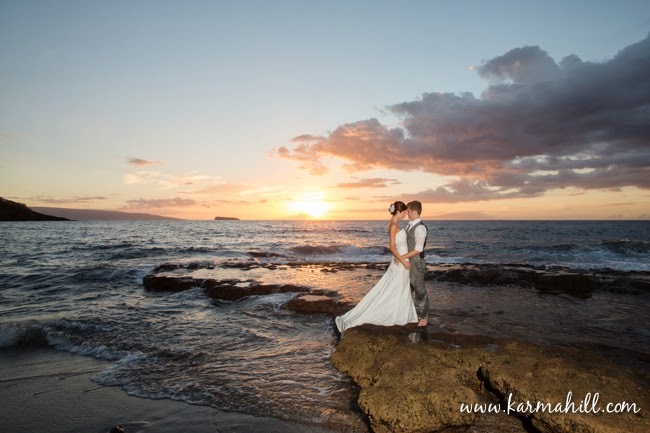 Not only were they absolutely gorgeous together, Heather impressed us with her creative talents when she arrived with a pretty boutique that she had made herself! And because there's no such thing as too many photos, Heather and Stan were almost as excited as we were to go straight from their ceremony into a Trash the Dress session! To spice things up a little they adventured to Naupaka Beach for the Trash the Dress session in the waves. This second location was extra special because it's the only black sand beach in Makena. 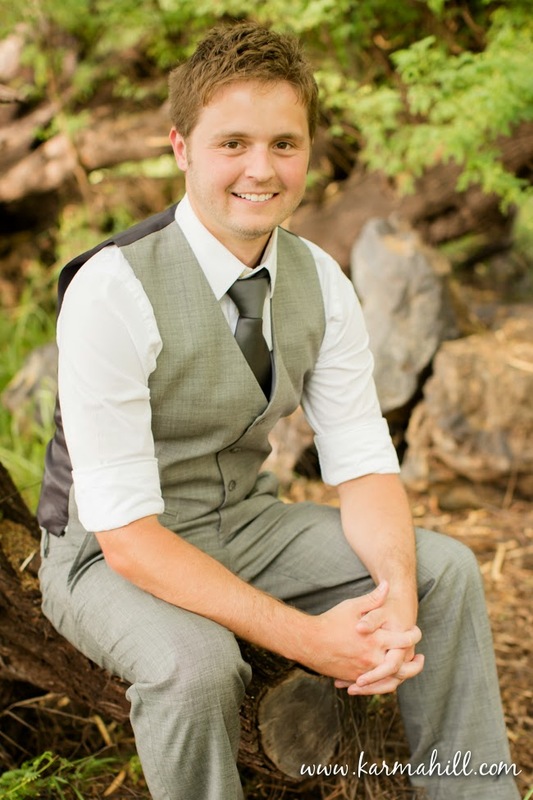 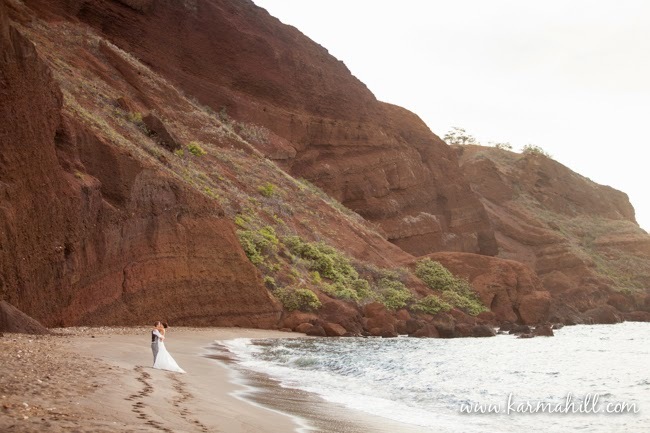 Crashing waves, lava rocks, red cliffs and tropical green trees were such a stunning backdrop to their lovely ceremony and celebration. 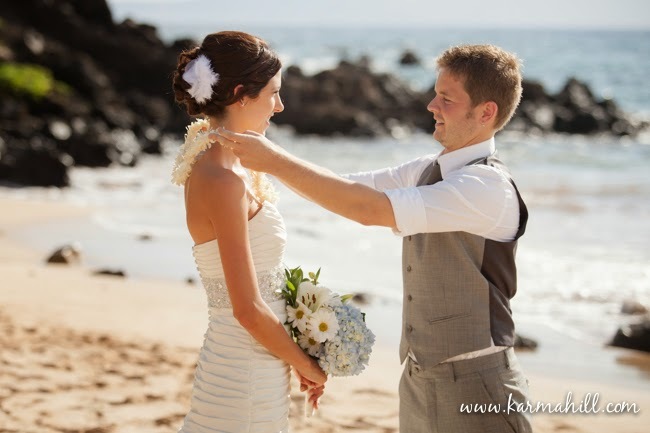 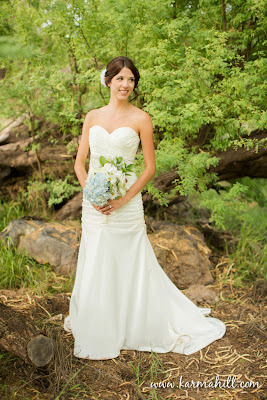 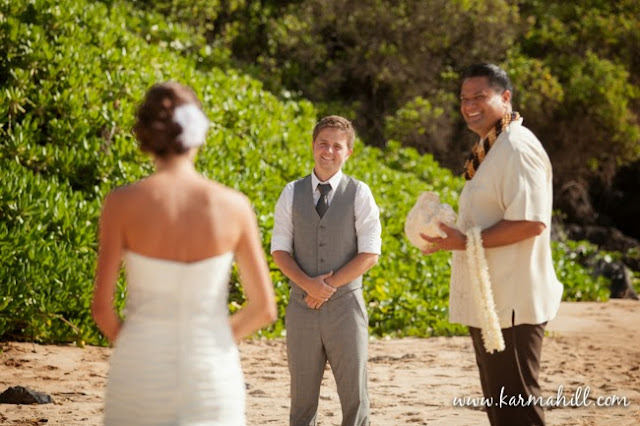 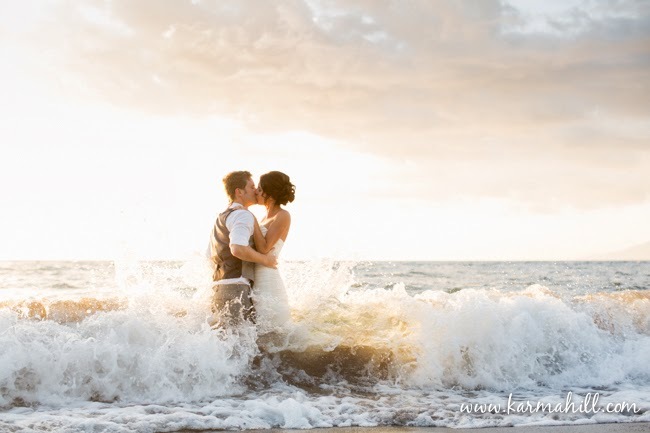 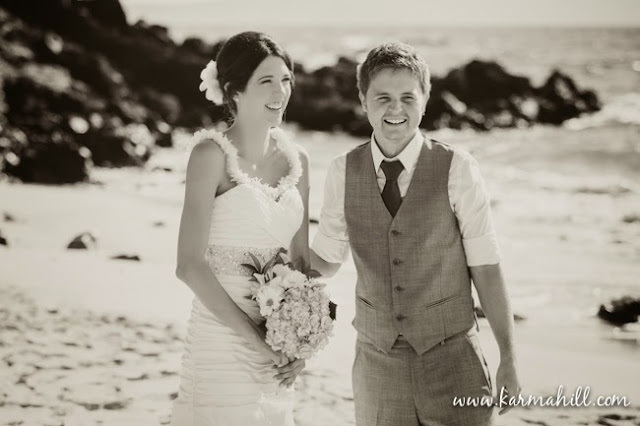 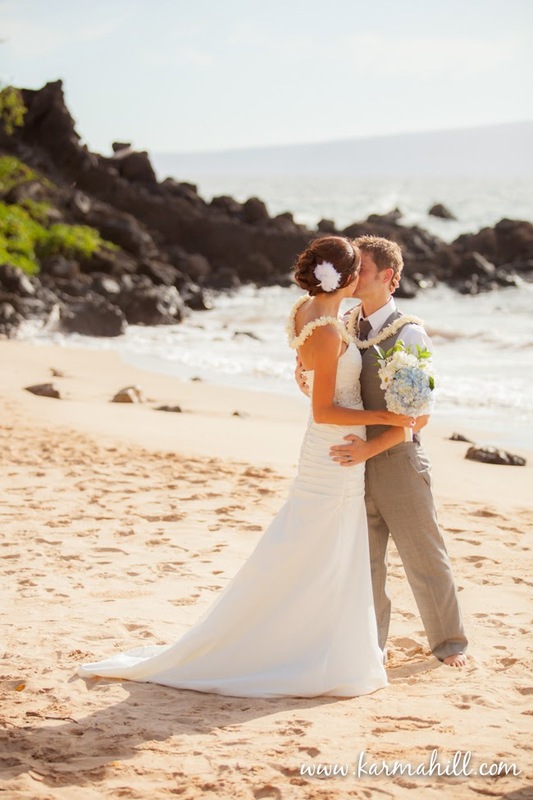 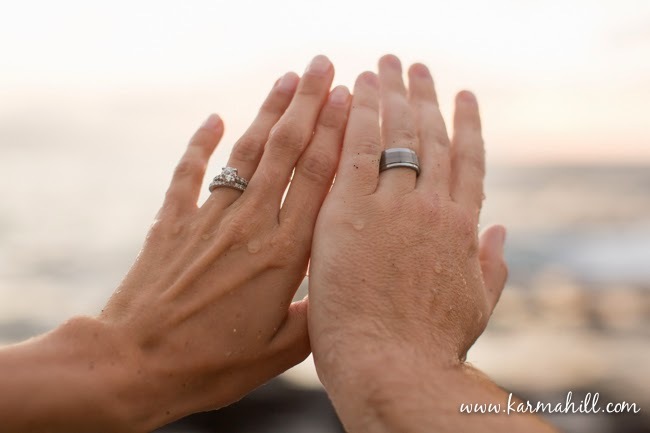 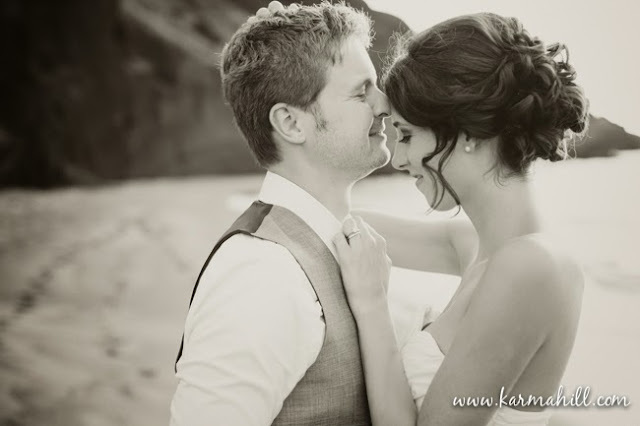 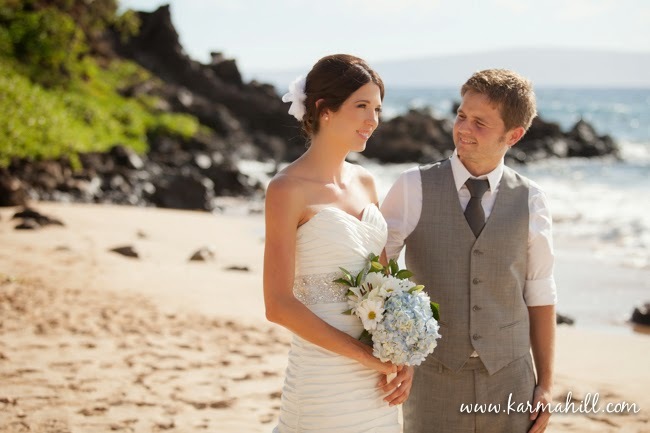 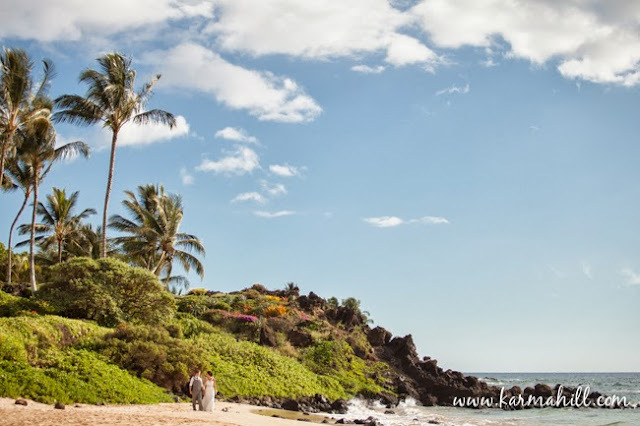 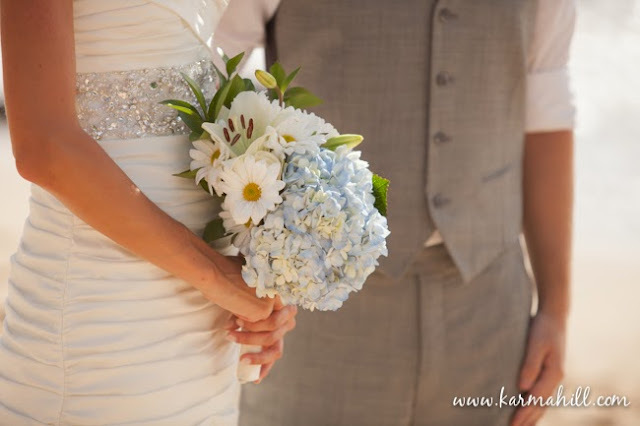 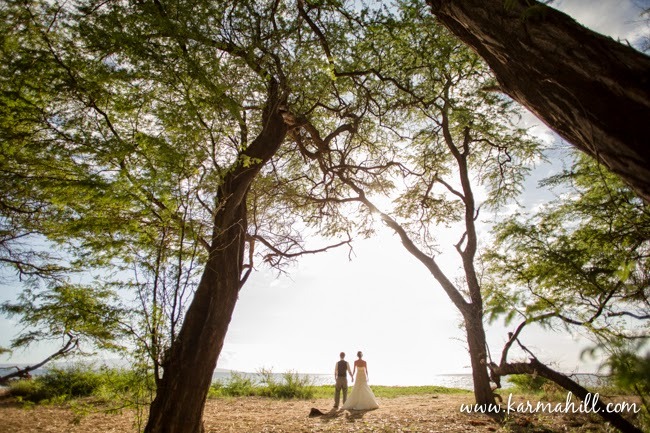 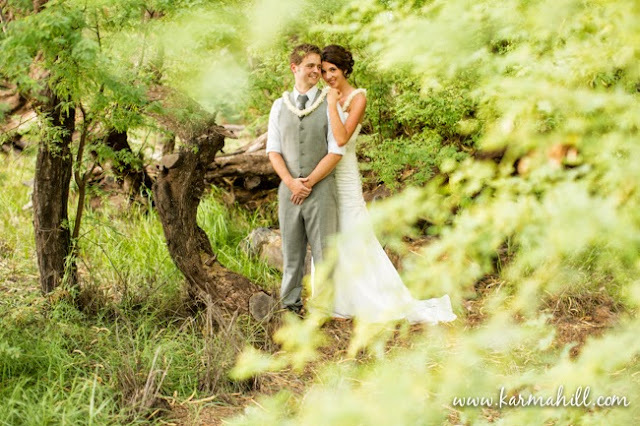 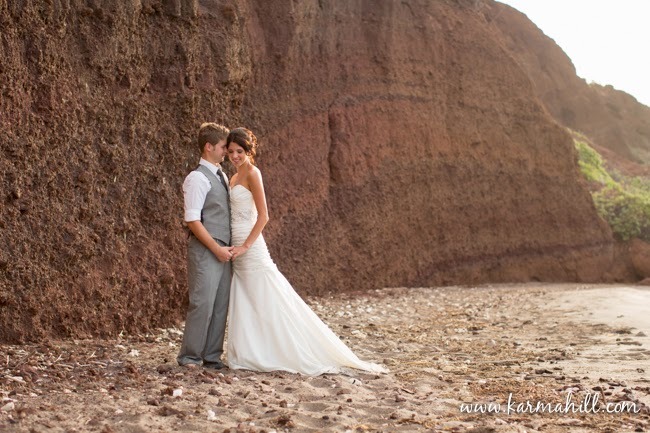 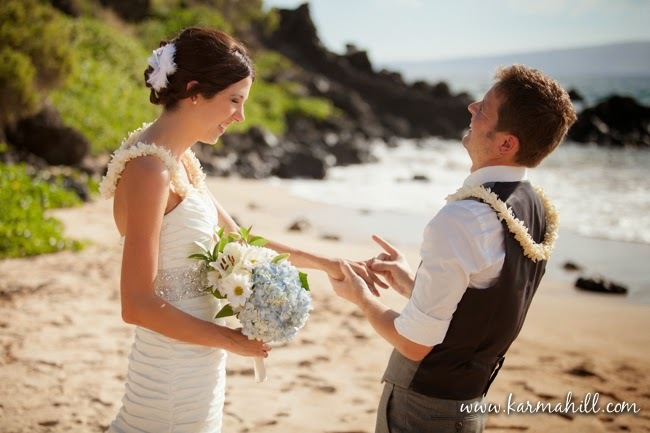 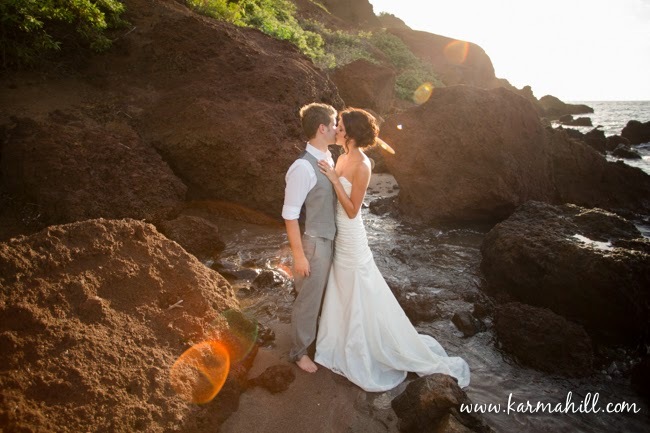 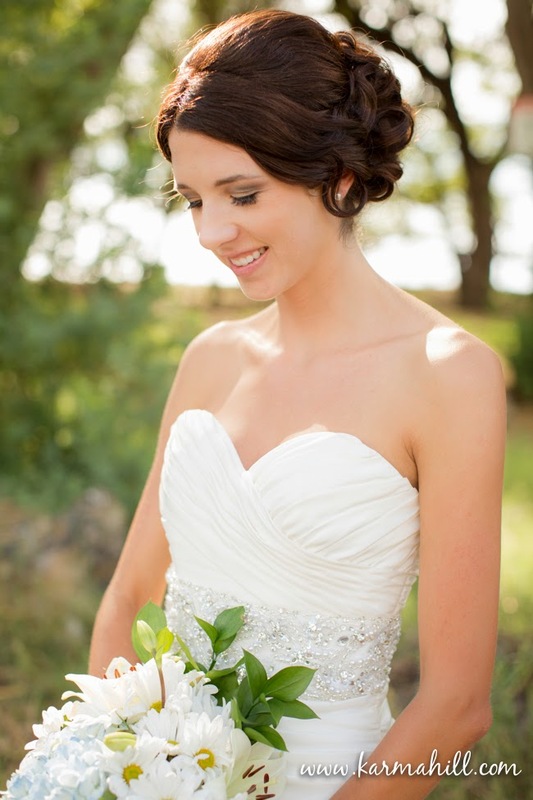 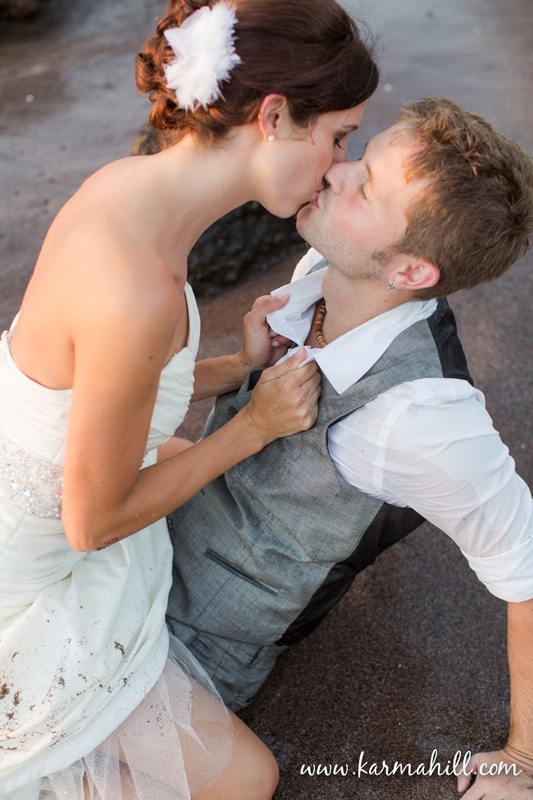 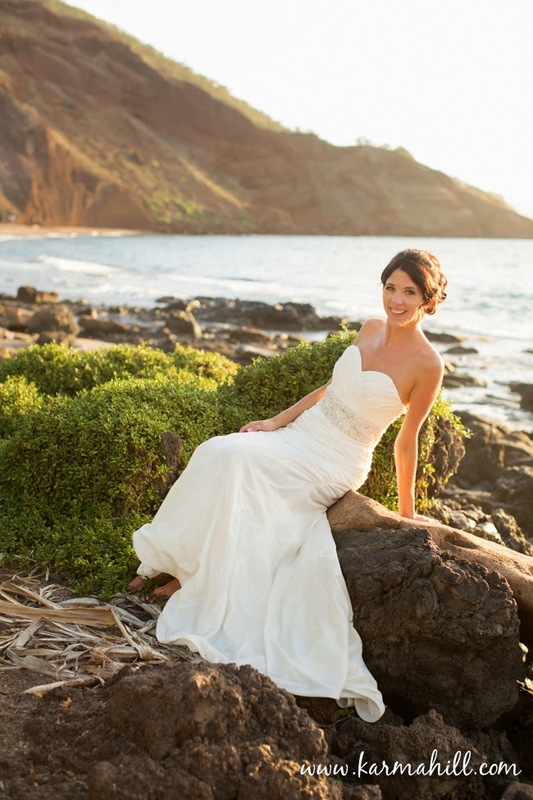 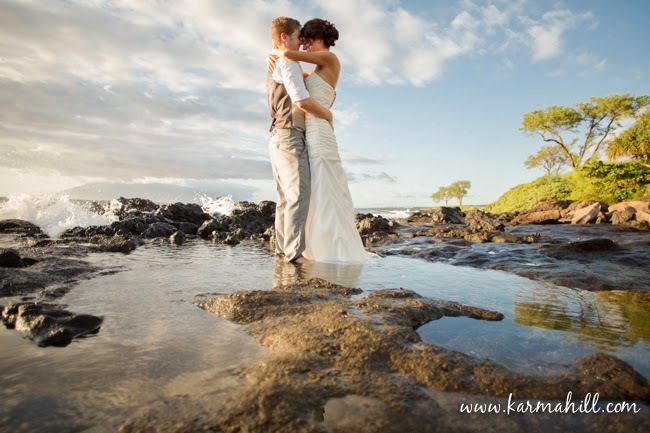 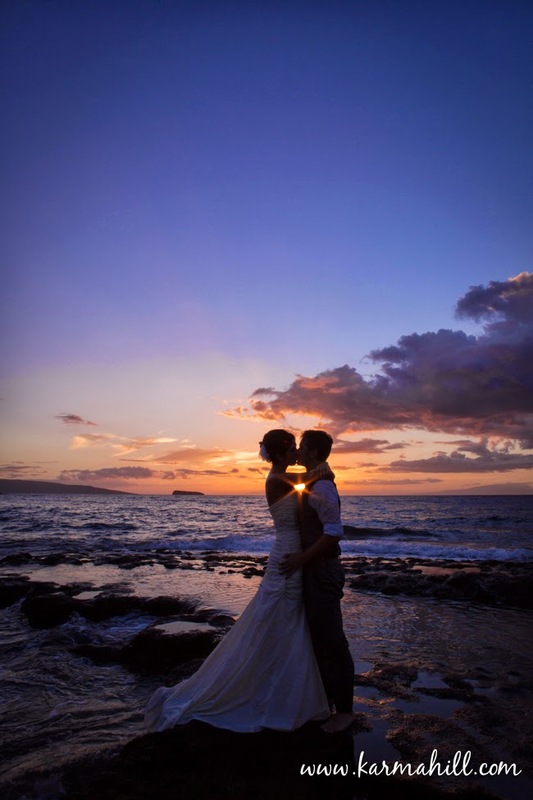 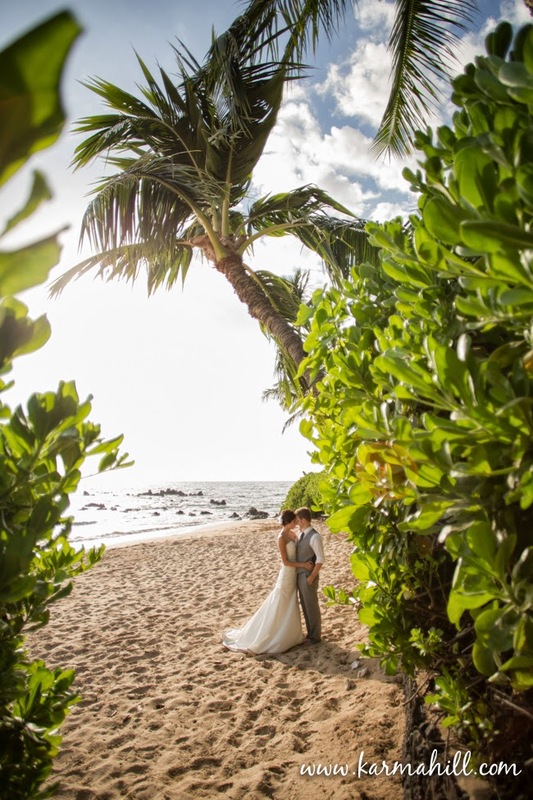 Thank you so much Heather and Stan for sharing your wedding with Simple Maui Wedding!